Small heroes: don’t be left at home. Read these colour mini missions. Huge Beasts. Short text. 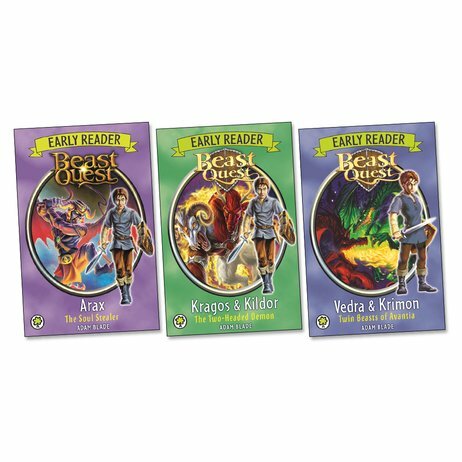 Hurray: the immense Beast Quest series finally has amazing stories for younger warriors like you. Heroic quests that make your blood burn hotter. With stonking colour pictures all the way through. Join brave Tom as he battles monsters and defends the kingdom of Avantia. Train up your hero muscles and your reading stamina.